Posavina bez mina, a humanitarian organization that works to defuse landmines in the former Yugoslavia, has posted a warning to its Facebook page saying that they've been told that Pokemon Go players are venturing into active minefields to catch virtual critters, and warning people not to go into minefields to catch Pokemon, which is very good advice. 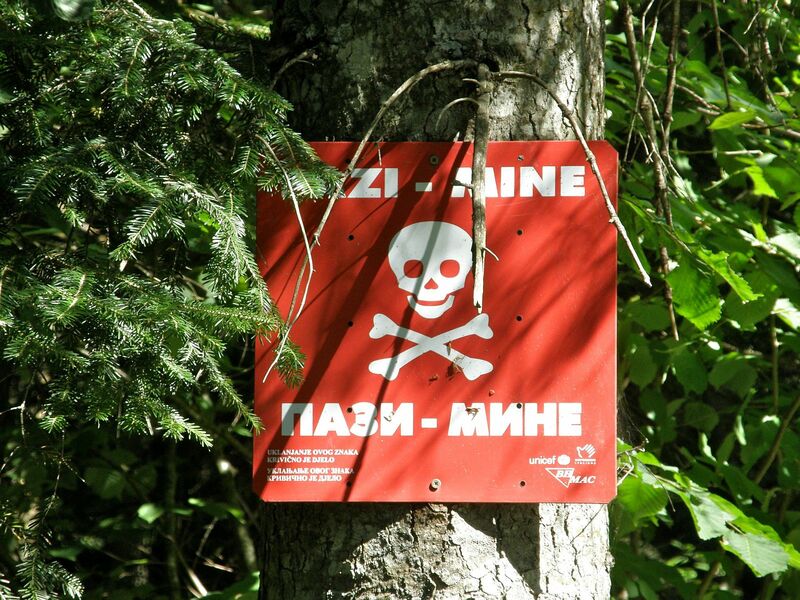 Minefields in Bosnia and Herzegovina have killed 604 people and injured more than 1,100 people since hostilities ceased in the region in 1996. Today we received information that there are cases where users applications Pokemon Go in BiH advocates in mine suspected / risk area to find pokemona. We ask all citizens not to do so and to respect posted signs of mine threat and not to venture into areas that are unknown to them. In BiH people for Pokemon started to enter in the minefields!